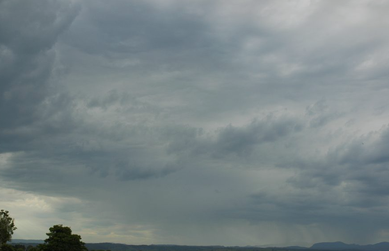 Weather lore is the informal folklore related to the condition and forecasting of the weather. For thousands of years our Ancestors relied on the following wisdom. Even today our attention to the weather patterns can swiftly become an invaluable asset creating a circuit between us and the law of nature. The following tips are easy to learn and is a necessary tool for anyone spending extensive time outdoors. 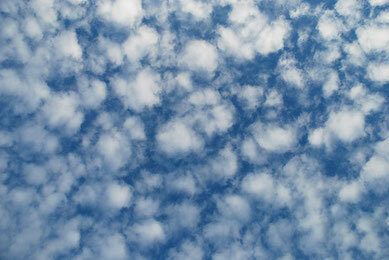 Clouds are the most reliable active message of weather forecasting. 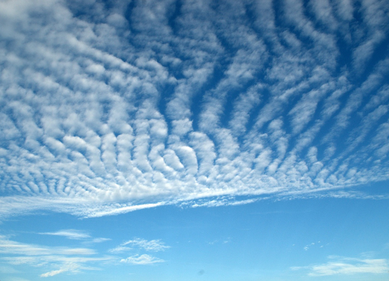 There are ten main types of cloud formation and a basic rule is `the higher the clouds the finer the weather will be. They look like rippled sand, an omen of fair weather, sometimes they appear after a storm and dissipate to leave a clear blue sky. altitude: 1.5 - 6 km (1 - 4 miles). 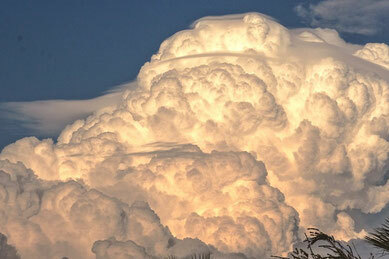 Low forming thunder clouds, often growing and transforming in size fast. 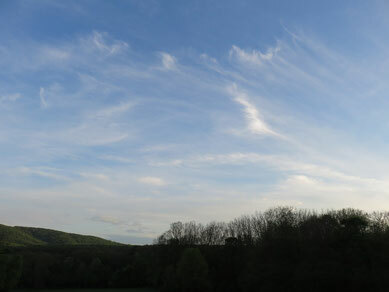 Easily recognisable fluffy white clouds with flat bottoms, usually indicate fair weather when widely separated, but if they appear quite large they are capable of producing sudden heavy showers. When seen at see in an otherwise cloudless sky, they often indicate land beneath. 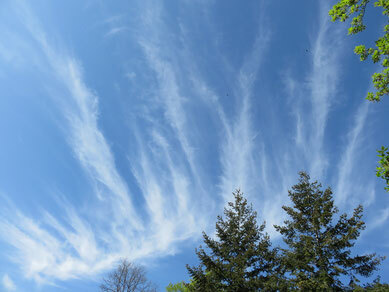 High wispy clouds formed from ice crystals which gives them the white appearance, an indicator of fine weather. Made up of I've particles and look a bit like white veins. These clouds can also produce a halo around the sun or moon. 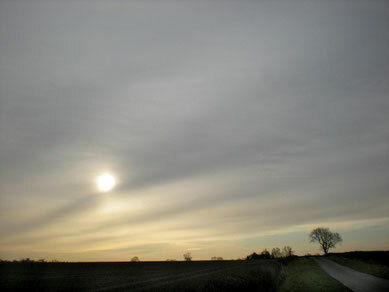 These clouds form a greyish veil over the sun or moon. 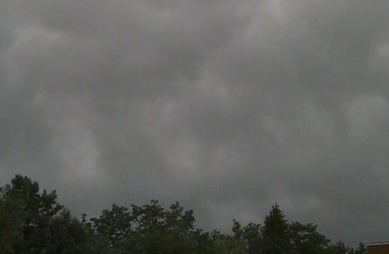 if wet weather is approaching the cloud will darken and thicken obscuring the sun or moon until it begins to rain. 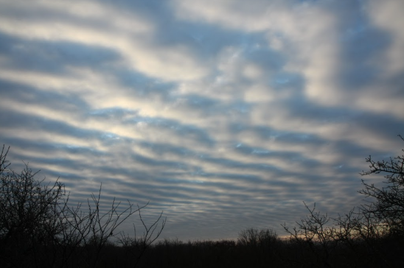 These clouds form low dark blankets, they signal rain or snow within 4 - 5 hours, rain or snow usually lasts several hours. These are the lowest of all clouds and form a uniform layer like high fog, they are often described as hill fog, They arnt such a normal rain cloud but they can produce drizzle, when they form quickly overnight and cover the morning its often an indicator of a fine day preceding. Birds singing in the rain indicates fair weather approaching. When seagulls fly inland expect a storm. When the swallows nest high, the summer will be dry. When the swallow builds low you can safely reap and sow. Cows sitting down in a field during daytime, expect rain. Theres a whole list of other weather lore sayings and proverbs which may not be guarantee accuracy but they certainly can be useful. Red sky at night shepherds delight. Red sky at morning shepherds warning. If the swallows fly low, then rain we shall know. If the swallows fly high, the weather shall be dry. A ring around the sun or moon means rain or snow is coming soon. 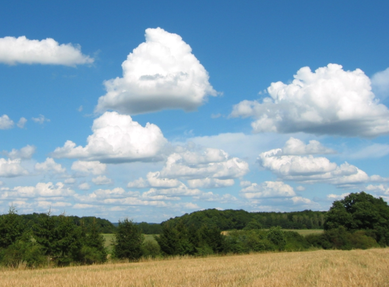 The more different types of cloud present the greater the chance of rain. When the wind blows from the west fish bite best, when wind blows from the east fish bite least. A warm November is the sign of a cold winter.